The 33 of 44 bus drivers of Central Transport Company who are on strike have met with the management of the company. Ilaisa Tiko who is the representative of the drivers on strike, claims they work long hours and they want to be paid about $300 a week. Tiko says they currently get about $3.70 an hour. He claims the company has declined the drivers’ demands. Tiko says they will continue to negotiate and will return to work tomorrow morning. He says the company has written a letter to the drivers telling the drivers of the reasoning of their protest and whether they will keep the drivers at work or dismiss them. We are trying to get a comment from Central Transport. 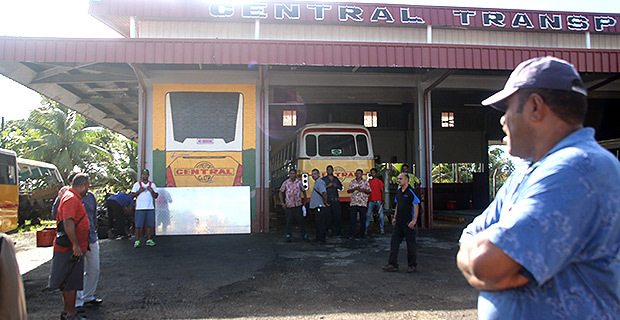 Meanwhile Land Transport Authority CEO Samuel Simpson says that Central Transport is in breach of their operating licence and they have urged the company to get their drivers back to work quickly to restore services to customers.